Thanks to the launch of its modern namesake, the original Porsche 911R has been thrust firmly back into the limelight over the last year. Developed by Ferdinand Piëch, it was the first time Porsche had built a 911 purely to go racing with. However, the ‘R’ wasn’t built in great enough numbers to be homologated for GT competition. That honour would have to wait until the following year when Porsche chose to homologate the 911 properly for the Group 3 class. 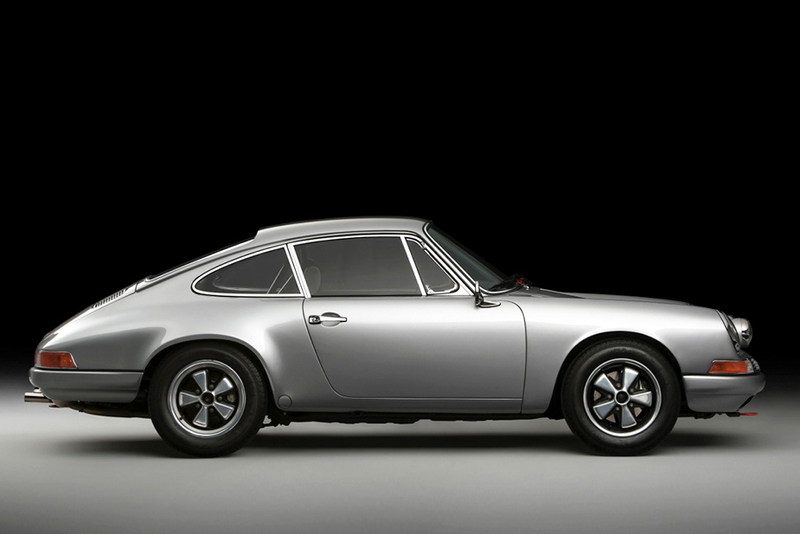 The resulting car was known as the Porsche 911 T/R, with the factory producing 28 examples for the 1968 season. One of just four right-hand drive cars, this exact 911 T/R is now up for sale with classic Porsche specialist, Maxted-Page and enjoys a particularly storied history. Ordered by Paddy McNally in November 1967, chassis no. 118 2 0884 was finished in Silver Metallic and originally came delivered with a standard 901/02 flat six (the 160bhp unit from the 911S) however, later in the 1968 season, it was upgraded to twin-plug Carrera 6 specification, turning out 210bhp. 1968 was a relatively quiet season for the car, competing in a couple of UK races before winning the Winter Sprinbok Series in South Africa. For 1969, the car was sold to Paul Vestey who began to campaign it in Europe, including the Mugello 500km and 1000km race at Monthléry. It was 1970 that was perhaps the car’s most impressive season though, finishing second in class at the Targa Florio with Alain De Cadenet and Mike Ogier at the wheel, the duo going on to repeat that result at the Nürburgring 1000km. After rallying in Ireland during the Eighties and Nineties, the car came to Maxted-Page & Prill in 2012 where a full bare metal restoration was carried out before it was loaned out to the Porsche Museum for display during 2014. It was here where the Total 911 team first came across the car, sitting resplendent alongside Porsche’s latest racing wonder, the 919 Hybrid. Now back with Maxted-Page, the car comes complete with its original engine (albeit not currently fitted) that could be rebuilt to period specification, and an incredible file documenting this 911 T/R’s fantastic competition pedigree. For more information on this Porsche 911 T/R, or to check out their other incredible stock, check out Maxted-Page’s website now.